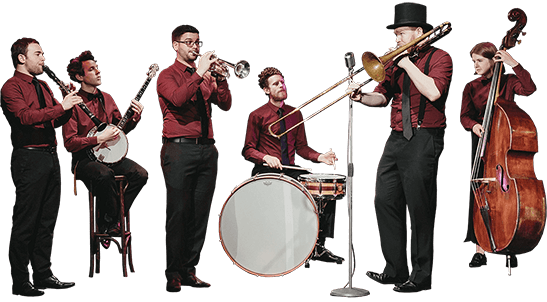 Playing the hottest trad jazz this side of New Orleans, Shirazz is one of Melbourne's most sought-after jazz bands. They meld raucous, high-energy trad, laid-back Louisiana street beats, and sleazy and salacious blues in their witty and irreverent live show. 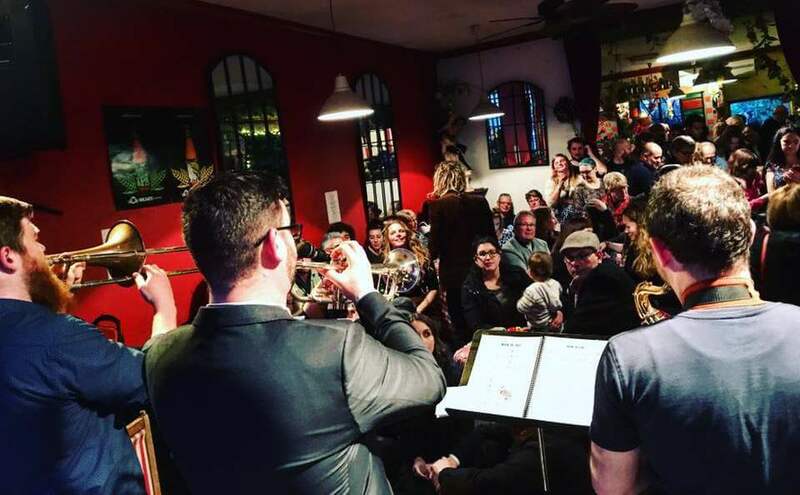 Since 2009, Melbourne's Shirazz Jazz Band has held a reputation for their raucous, high-energy trad jazz sound. They've become known as a must-have festival band, attracting invitations from all over the county, and from overseas as well. They keep a busy festival schedule, having appeared at dozens of jazz, blues and folk festivals including the prestigious Wangaratta Jazz and Blues Festival and the New Zealand National Jazz Festival. They've also done a number of self-promoted tours across the eastern states and South Australia, where they have been greeted with packed houses and standing ovations. In Melbourne, Shirazz performs regularly at bars and pubs in the city, including supporting James Morrison in concert. They also play weddings, functions and corporate events, including a New Years Eve party flying over Antarctica! Shirazz's music is born in the New Orleans tradition but they are no means bound by it. Shirazz extends the genre to inject humour, original compositions, novel rearrangement of pop hits, European folk influences, and their own larrikin style to create a unique and exciting sound: a jazz flavour like no other. Shirazz has released five albums, including one nominated for an Australian Jazz Bell Award. Play from the selection below, or hear everything on the Store page.